Crap & Couture: Stop at the Red Light! When Red Light PR throws a bash to introduce the working press to their stable of hip designers attending is a no-brainer as far as I’m concerned. Why? Because I get to check out the best collections in one go, and get treated to lunch, a manicure and a choice of (drum roll, please) free clothes. Believe me, no editor in her or his right mind turns that down. Down to business and the fall collections I flipped over out of a vast selection of great brands. Numero uno in my book is DARLING, a UK based on trend collection of dresses, sportswear and handbags. I’d compare the brand to Alice +Olivia and Milly. But don’t think you have to be a twenty year old to wear this stuff as even I found a terrific black wool tweed coat with faux fox sleeves that I could see myself in. Also terrific and on my radar was a black crew neck sweater with polka dot pockets shown atop slim black trousers. Peter Pan collared blouses, darling cardigans, and a whole slew of girly dresses rounded out the very feminine collection. Check Darling out at www.darlingclothes.com. ROBB & HUGO screams young, hip downtown New Yorker with a hint of Jil Sander thrown in. This is the place for skinny jeans, slouchy tops and my favorite item, a shrunken one button peplum jacket in taupe or black. GRACIA appeals to a more sophisticated consumer of any age who prefers a more classic with a twist vibe. My favorite items were the fluid crepe pants available in black/emerald or black/white combo. Very old school glamour to wear day or night. Another chic item was Gracia’s black “Chanel” influenced crop jacket. C&C Thanks GRACIA for Cropping at Nothing to Bring You This Jacket! 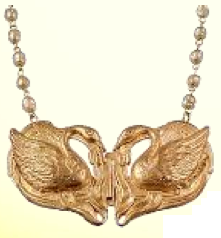 Adding spice to any outfit is a dramatic gold necklace that’s comprised of vintage swan components from BEE CHARMING. I also must have a fab charm necklace and bracelet from the Asian collection. Every piece on the line screams look at me. The designer’s philosophy is more is more so feel free to pile it on. I loved it ! Find out more at www.bcharming.net. JELLY POP and DV by DOLCE VITA were two shoe brands that caught my eye. The former offered very affordable (think under $100 retail) flats, loafers and booties aimed at the boutique shopper. 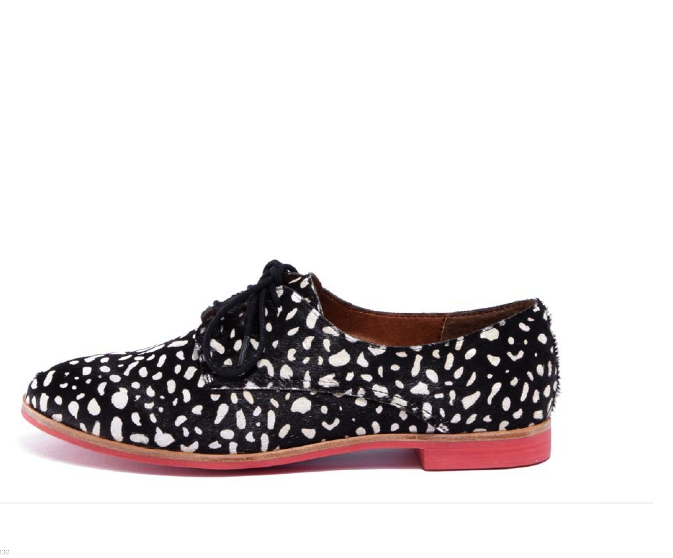 I especially liked a cute pair of black cap toed flats in plaid. At DV my eye went directly to the black/white spotted hair calf oxfords and the pair in bright turquoise suede with quirky pink crepe soles. Both were on trend for fall’s menswear look. These were two of the best looking versions of a classic I’ve seen in ages.